Donnie Estopinal also gave us the details of DDP's ticket giveaway for Ubbi Dubbi Festival. 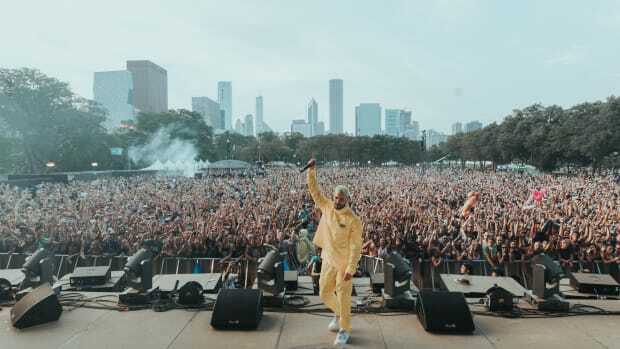 A new name has been in the mouths of festivalgoers in 2019: Ubbi Dubbi Festival. 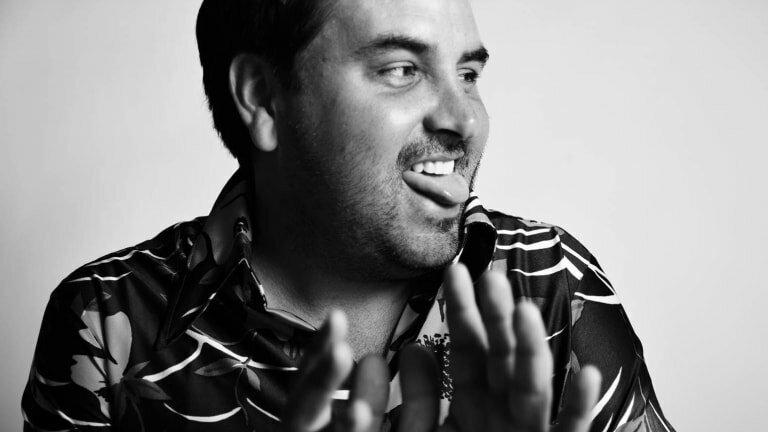 What most of the EDM community may not realize, however, is that it&apos;s been on the mind of Disco Donnie Presents Founder Donnie Estopinal for over 20 years. As a matter of fact, Estopinal hatched the idea for Ubbi Dubbi all the way back in the &apos;90s, during the heyday of early rave. 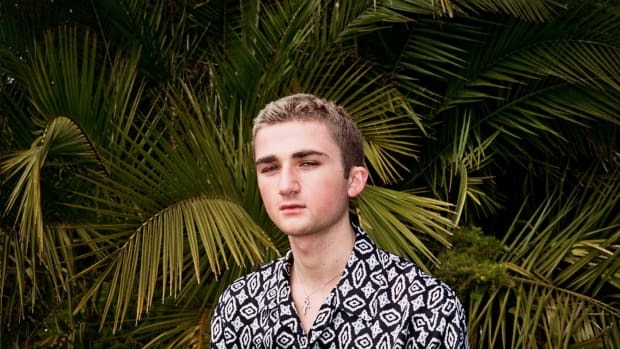 During an interview with EDM.com, he also told us about a secret language tied to the event and reflected on some of the changes facing the electronic music world as of late. After reading what he had to say below, enter to win free tickets to Ubbi Dubbi Festival by recording a video of yourself speaking the language in a funny circumstance (translator here!) and posting it to Instagram. In order to be eligible, you must tag @EDM and @UbbiDubbiFest in your post using the hashtag #UbbiDubbiChallenge and be of at least 18 years of age. The ticket will be emailed to the winner 24 hours before the event and is not transferrable or redeemable for cash. The full terms and conditions can be found here. These months are when promoters really start revving their engines for festival season. What are the big topics of discussion in the Disco Donnie Presents war room as of late? Well, we average close to 20 shows per week so we’re always monitoring how those are going, seeing if any of them need some extra love, and working on making sure they’re all going to be successful. We’ve also been working away on the two festivals that we have on sale right now, so we’re just making sure we’re constantly creating new content to keep people engaged and talking about the shows. 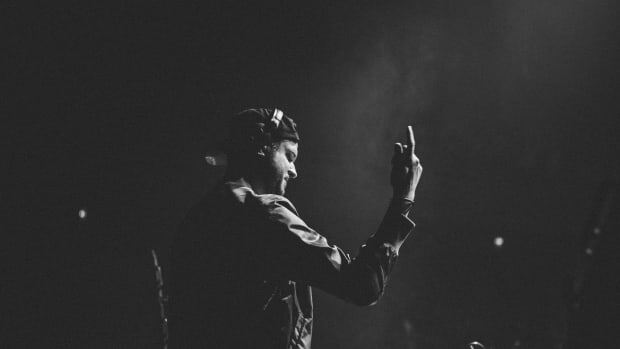 Ubbi Dubbi is the event of yours that most of the EDM world is clamoring about. From its very inception, how did that concept come about and what direction is it moving? It was actually 1996 that I came up with the name. Well, let me backtrack - when I first got into the rave scene a lot of party names were really dry and stale, like “Energy” and “Fire” or other random names that just weren’t interesting. When I started doing my own shows, I tried to inject a little humor into the scene and I always used something that was a reference from my childhood. Ubbi Dubbi was a language on this PBS show called Zoom. In 1996, I announced that I was going to do a party called Ubbi Dubbi, but it never happened. I just always had that name in the back of my head, and when we were gonna do this new festival everybody was throwing around the same old names with “Electric” in the title, and I wanted to do something more as an homage to the past, but also something that was fun. I threw out the name Ubbi Dubbi and my whole team was kind of’ like “Huh.” Nobody was really crazy about it at first, but then when I explained the background of it everyone started getting excited about it. So you had the idea for the name long before dubstep was a glimmer in the eye of any electronic music fans. Oh yeah, it had nothing to do with the music. It’s basically a coded language that the kids can use without their parents understanding. Once everyone bought in, the designers at The Firm came up with the two characters, the Fame House social team came up with the back story, and Eyewax developed the music and old school video game look. It kind of got everybody’s creative juices flowing and allowed them to step outside the box a little, because we were basically working on a blank canvas. Nobody really knows the story of where it all started - and I guess that’s what we’re telling now. Can you break down how this language works, exactly? We have a translator so everyone can learn to speak in Ubbi Dubbi, but let me tell you what the rules are. It works by adding an “ub” before each vowel sound in a word, and the stress falls on the ub of the syllable that would be stressed in the word. For example, “hello” would be “hubellubo.” Another big thing is that people don’t know how to pronounce it. They’re calling it ooh-bee doo-bee, but it’s uh-bee duh-bee. To be honest, when we first heard it we thought it sounded weird but then it occurred to us that we heard it once and never forgot it after that. Well, imagine me sitting down in a board meeting trying to get the budget approved and when they ask what we are going to call it, and I say, “Ubbi Dubbi.” Ubba-what? Donnie, you need to put down the pipe (laughs). It was kind of a rough start because people didn’t know where it came from or how it was developed, but it has really taken off and people are excited about it so Im glad we got to share it with them. You’re approaching the 25-year anniversary of Disco Donnie Presents. How has the rave scene changed between then and now? It’s changed a lot aesthetically. On the production side, our visuals used to be projected onto sheets or played on TVs from Rent-a-Center. There were no LED walls, no pyro, no confetti, or CO2 blasts, so the presentation of the show has changed, but to me the vibe of the people has basically stayed the same. In the rave scene, there’s always new people coming in and old people going out, and everyone in the middle. To me, if I look at the comments people are making today about the scene and what it means to them and how it’s changed their life and I compare it to years ago, it is the same story people have been telling for 25 years. The people are the constant, even though the number of them coming has drastically gone up. Oh yeah, and I’m also a constant also because I’m still here (laughs). Rave promoters in the ‘90s faced a lot of crazy challenges, as I know you’re well aware. How have the challenges changed since you’ve been doing this? Back then it was really hard to find a venue and get somebody to let you throw a party there, and then you had to get people to come. You couldn’t just post an event on Facebook and have everybody show up. You had to go out and put posters on the poles and hand out flyers to people and explain to them why they needed to go to this party. No one knew who the artist was because there were no streaming services, no YouTube or Spotify. You had to really sell the event because there was no information out there. It’s still not easy to find venues, but now a lot of them are more receptive. They see it’s a legitimate business and we’re not gonna fight or shoot each other because it’s normally a well behaved crowd. Electronic music is everywhere now so people don’t see it as just a fad; they understand that it’s here to stay. Last year marks the year LiveStyle rose from the ashes of SFX Entertainment. You have an interesting vantage point because you’re one of the operators they really left in charge of his own company after they acquired it. How has that whole conglomerate evolved from your perspective? I was there from the first day with SFX because I was the first person in. I saw the whole spending spree where they said, “Alright let’s go go go” to when they said, “Okay, let’s slow down, we need to save money” to “Alright now we’re bankrupt.” Then I saw the genesis of LiveStyle, so its been a crazy ride. Last year was a good year for us and it looks like this year is gonna be even better. That’s sort of an anomaly given that the EDM industry started slowing down the last couple years - at least according to the IMS Business Reports. Do you think the industry is contracting, or is it still expanding and growing? I don’t think it’s contracting. I think it’s kind of like the stock market where people wanna see growth, and from 2009-2017 we saw huge growth, but then in 2017 we started to hit a plateau as hip-hop came back to the forefront and there were other challenges. There were too many festivals and events and it just became overkill for everyone and there was a bit of a market correction, but I think it’s still growing and I know for sure it’s not going anywhere. We may not be the top dog right now but we will be one day. Tell me about a trend going on in EDM right now that you find especially interesting. In the past couple years, the last one especially, at least in the Southern markets house music has made a resurgence. In the late ‘90s I was big into Chicago house because it sounded like adult music that people could graduate into after their early days of raving, and I thought it was gonna be the sound of the future. It didn’t really go away but it also never grew into anything, so now seeing these young kids jamming to that Dirtybird sound makes it seem like its come full circle. It took 20 years, but to see these house DJs draw crowds of 1,000-1,500 people in middle America and the deep south warms my soul. 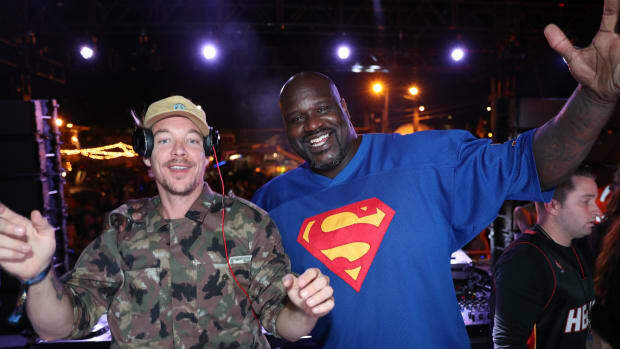 Shaquille O'Neal also gave us a personal message to relay to Skrillex. 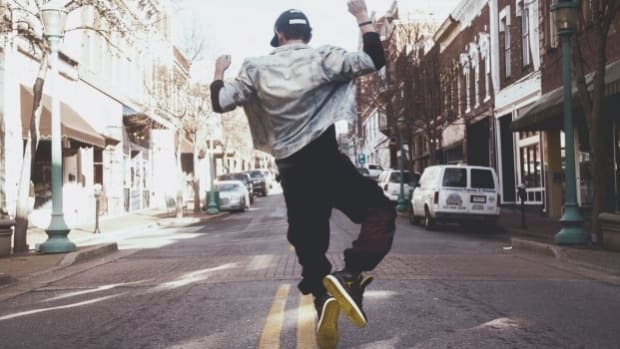 A look at how music literally moves us! CID took the time to take us through his journey in music as well as discuss his Grammy nomination and brand new radio show. The Canadian native's track was nominated for Top Dance/Electronic Song in this year's BMAs. 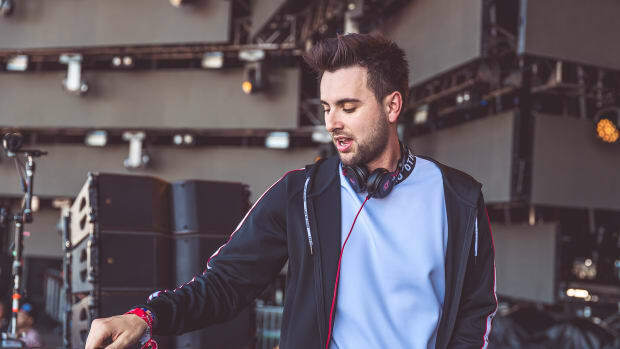 There's still much to uncover within What So Not's debut album. 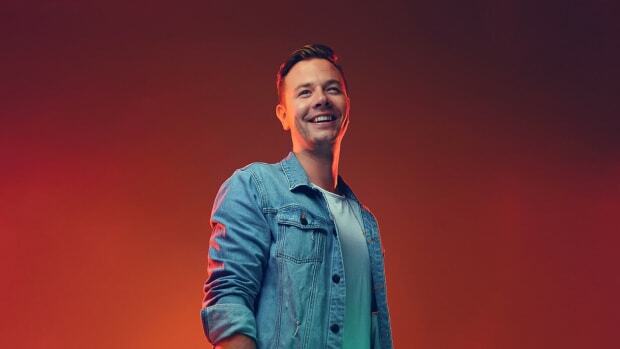 From his latest release with Jeremy Renner to his efforts towards sustainability, we sat down and spoke to Sam Feldt about it all. TyDi has been making headlines with his recent collaboration with Disney on Ice, a new studio album, and a soon to be released track with Darude.